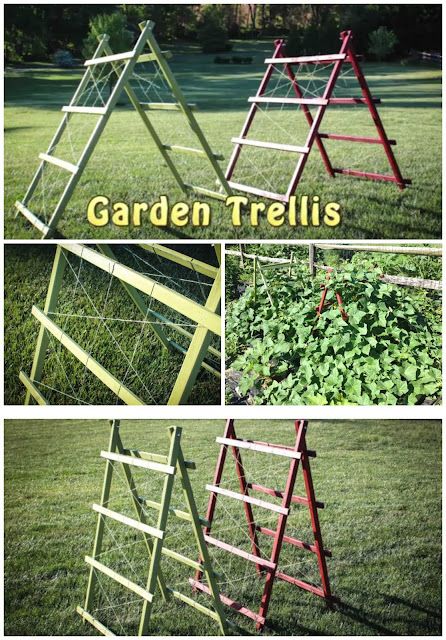 This adjustable garden trellis can be used for cucumbers, peas, beans and more. It is a quick simple project for any vegetable garden. Tools you will need: Table Saw, Drill/Bits and a Tape measure. Materials you will need: 2x2x8’ (x2), 1x2x8’ (x3), Bolt - 1/4" x 2.5" (x2), Nut/Washer - 1/4" (x2), Nails or Screws, Stain or Paint (optional) and String.